This paper analyzes and determines the various socio-psychological orientations of undergraduate students studying General English in universities of Sirjan. The study focuses on instrumental and integrative orientations of students in learning English as a foreign language. In order to determine the students’ tendency towards the mentioned orientations a population of 255 university students were given a questionnaire based on Gardner's Attitude/Motivation Test Battery (AMTB). In effect, the research shows that contrary to some researchers’ beliefs that in foreign language situations instrumental orientation is the dominant orientation, students were highly motivated in both instrumental and integrative orientations. This study of socio-psychological variables of the students will possibly provide additional insights in better identifying existing motivational challenges and taking more realistic perspectives about the ELT (English Language Teaching) situation in the country. Finally, several suggestions for teachers and some recommendations regarding future researches in this area in Iran have been highlighted. Motivation has been widely accepted by both teachers and researchers as one of the key factors that influence the rate and success of second/foreign language learning. The original impetus in second/foreign (L2) motivation research comes from the social psychology since learning the language of another community simply cannot be separated from the learners’ social dispositions towards the speech community in question. Lambert (1963b) has proposed a 'social psychological model' in which he has emphasized cognitive factors such as language aptitudes and intelligence as well as affective factors such as attitudes and motivation. In his model, he proposes that the extent to which an individual successfully acquires a second language will depend upon ethnocentric tendencies, attitudes towards the other community, orientation towards language learning and motivation. Another pioneer in this field, Gardner (1985), defines L2 motivation as “the extent to which an individual works or strives to learn the language because of a desire to do so and the satisfaction experienced in this activity” (p: 10); more specifically, motivation is conceptualized to subsume three components, motivational intensity, desire to learn the language, and an attitude towards the act of learning the language. Motivation in Gardner’s theory does not contain any integrative or instrumental elements. There does exist an integrative or instrumental dichotomy in Gardner’s model but this is at the orientation (i.e. goal) level, and as such, is not part of the core motivation component; rather, the two orientations function merely as motivational antecedents that help to arouse motivation and direct it towards a set of goals, either with a strong interpersonal quality (integrative) or a strong practical quality (instrumental). The present study intended to highlight the extent of Iranian university students’ motivation in learning English as a foreign language and their differences in instrumental and integrative orientations. Furthermore, the findings of study may promise some improvements and changes regarding teaching and learning L2. Considering the growth of international relations of our society with other nations and the extended interest towards today’s growing technology and science throughout the world, learning English language as an international language has found a greater importance compared to previous years. Increase in the numbers of language institutes and their students also increasing interest of parents for their children to learn English can be a good evidence for the recent value of English language in our country. But unfortunately most of the students are not satisfied with their abilities in English after studying it for seven years in their schools and also passing some credits in universities. There are certainly different reasons for this problem but one of the reasons which is the primary concern of this study is motivation. As it was mentioned in the previous part motivation is classified into two parts: instrumental and integrative. Having a greater knowledge of these subjects can help teachers, textbook developers and the educational authorities to find new ways for improving the quality of teaching and learning English in our educational system. The question addressed through this study is: To what extent the university students of Iran are instrumentally or integratively oriented towards English language learning? Gardner and his colleagues found that integrative motivation, which refers to ‘a sincere and personal interest in the people and culture represented by the other language group’ (Lambert, 1974, p.98), was a more powerful predictor of linguistic achievement as it was consistently correlated with L2 linguistic achievement. Instrumental integration, which refers to ‘the practical value and advantages of learning a new language’ (Lambert, 1974, p.98), was found to be related to L2 linguistic achievement in some studies. One area where instrumental motivation can prove to be successful is in the situation where the learner is provided with no opportunity to use the target language and therefore, no chance to interact with members of the target group. Lukmani (1972) found that an instrumental orientation was more important than an integrative orientation in non-westernized female learners of L2 English in Bombay. The social situation helps to determine both what kind of orientation learners have and what kind is most important for language learning. Therefore, one concern of this study is to investigate Iranian students’ motivational orientation to see in Iran as a country in which there is no chance to use target language or interact with native speakers is the instrumental orientation the dominant type of orientation? There are three major universities in Sirjan: Islamic Azad University, technological faculty (under supervision of Bahonar university of Kerman) and Payame Noor University. Different majors of these three universities have to pass a three credit course of General English. They attend two class sessions a week (each 75 minutes) and the purpose of the course is mostly reading comprehension. There is an average of 40 students in each class. H1: Students are highly motivated in learning a foreign language. H4: There is a significant difference between the instrumental and integrative orientations of university students of Sirjan. H5: There is a significant difference between the instrumental and integrative orientations of students of each university in Sirjan. In this study a sum of 255 university students (male and female students) were selected by stratified random sampling from the total population of university students of Sirjan(758 students). The reason for selecting these universities (Islamic Azad University, Technological faculty and Payame Noor University) is mainly twofold: firstly, these are the only universities of the city and secondly university students seem to be a better choice for such an investigation. Because of the difference in number of students in each university the number of participants was separately computed for each one. The Integrative and Instrumental Orientation scales of the original 7-point Likert Scale format of Gardner's Attitude/Motivation Test Battery (AMTB) (Gardner, 1985) were adapted to a 5-point scale, ranging from ‘Strongly Agree’ to ‘Strongly Disagree’. The AMTB is reported to have good reliability and validity (Gardner, 1985; 1980; Gardner and Smythe, 1981) and the internal consistency estimate of reliability for the modified questionnaire was calculated, and Cronbach's Alpha was 0.7. Since the students came from different academic and socio-economic backgrounds with different levels of proficiency in English, the questionnaire was administered in the mother tongue along with the English original. The purpose and different terms of the questionnaire were explained before the distribution. During the completion process of the questionnaire, the researcher was present physically to monitor and also to help the respondents to understand certain parts. Respondents were given 5 minutes to complete the questionnaire and were informed that the information they gave would be kept confidential and be used for research purposes only. A sample of the questionnaire is provided in Appendix 1. In this study, the major focus was on various socio-psychological variables rather than language proficiency levels which were not tested. The questionnaire as mentioned above was adopted from Gardner’s AMTB (1985). a. Integrative Orientation: The scale includes four items to find out how much the learners learn English with a genuine interest to assimilate with the target language, culture ,community, their way of life, literature etc; this would show their Integrativeness towards the target language. b. Instrumental Orientation: On this scale, there are four items and the respondents are asked to measure their utilitarian reason for learning English. The raw data was fed into the computer and then was analyzed by using SPSS. The results are discussed below. The respondents were asked to indicate on a five point scale how important each reason was for their learning English as a foreign language. The focus was on two types of motivational orientation: Integrative and Instrumental following Gardner and Lambert’s (1972) definition. Eight statements were designed to find out the dominant reason for studying a foreign language among undergraduate students of Iran in general and the students of universities of Sirjan having the course General English in particular. Descriptive statistics were carried out for all measures involved in this study. Comparison between the mean scores of the three universities illustrated that students were highly motivated in Q1, Q2, Q5, Q6 and Q7. Questions three, four and eight (Q3, Q4, Q8) showed the students’ medial motivation and no lack of motivation was observed among these eight questions. As it is shown in tables 1, 2 and 3 most of the university students are highly motivated in learning a foreign language. In comparison to other questions, question number eight which asked if people had a more respect for those who have knowledge of a foreign language, showed the lowest level of motivation. It can be concluded that students’ language ego and cultural factors might have prevented them from showing a higher motivation for this question. Variables such as identity and social-cultural distance are significant in acquiring a language in a foreign context. But still this question along with the questions number 3 and 4 show a desirable amount of motivation. No question is reported to show lack of motivation. The results show moderate to high motivation toward foreign language learning. Therefore, the first hypothesis is approved. In order to find the answer to the second question and investigate the second research hypothesis, statistical method of one way analysis of variance (one way ANOVA) was concluded. As table 5 illustrates, there are no significant differences in integrative orientation of each university’s students and also among the students of all three universities. This result rejects the second hypothesis and confirms that university students are closely related in their integrative orientation. Table 6 illustrates the differences in instrumental orientations of each university’s students and students of the three universities. No significant difference is observed in their level of instrumental motivation. Therefore, the third hypothesis is rejected as well. 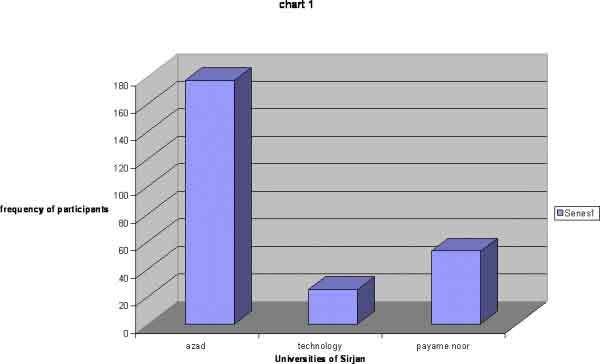 Table 7 shows the differences between the instrumental and integrative orientations of university students of Sirjan. Table7: T test for differences between integrative and instrumental orientations of university students. In order to determine this difference among the students T-test for independent groups has been selected and the results do not show any meaningful differences in this regard. As a result, the fourth hypothesis is not confirmed. In the last table (table 8) a T- test was used to determine the difference between integrative and instrumental orientations of each university. As the following results show there was no significant difference between these two orientations and students are both instrumentally and integratively motivated. This means that the last hypothesis is also rejected. This study was conducted to probe the motivational orientations of Iranian university students. The findings present a picture which establishes that Iranian university students are both instrumentally and integratively oriented. This provides a sufficient answer to the research questions addressed, and contradicts the opinion of some researchers who believe that in a foreign language situation students are instrumentally oriented. Also it was shown that students are highly motivated towards learning English. An implication of the findings is that motivational orientation of students, as a significant factor, should be considered in teaching and learning of a foreign language. Many teachers believe that by sticking to the language materials and trying to discipline their refractory students, they will manage to create a classroom environment that will be conductive to learning. Nevertheless, these teachers seem to lose sight of the fact that, unless they accept their students’ personalities and work on those minute details that constitute their social and psychological make-up, they will fail to motivate them therefore teachers can improve their methods of teaching by considering the domain of motivation. Furthermore, other related researches regarding the relationship between these two orientations and students achievements are considered to be useful. The study did not aim to find out the link between varieties of motivational orientations and the language proficiency of the learners. The future studies could aim at these issues and could give more insights to the linguistic realities of Iran . The results of the present study though show that university students are both instrumentally and integratively motivated, but the limitation of participants to three universities of one city i.e. Sirjan do not allow one to conclude that in general all students of Iran are purely instrumentally and integratively motivated. More research in this area needs to be conducted. In order to make the language learning process a more motivating experience instructors need to put a great deal of thought into developing programs which maintain student interest and have obtainable short term goals. At university level this may include, as suggested by Berwick et al. (1989), any number of foreign exchange programs with other universities, overseas "homestay" programs, or any other activities which may help to motivate students to improve their target language proficiency. At the secondary school level, and especially in the senior years, this task may prove more difficult. For the foreign language teacher this may result in a certain level of frustration due to the general lack of interest and commitment by some students. Teachers need to create interesting lessons in which the students’ attention is gained. This can sometimes be accomplished by the use of teaching strategies which are not often called upon by other teachers in mainstream subject areas. Encouraging students to become more active participants in a lesson can sometimes assist them to see a purpose for improving their communication skills in the target language. Successful communication using the target language should result in students feeling some sense of accomplishment. Research in the area suggests L2 achievement strongly affects learner motivation (Strong 1983, cited in Ellis 1997). The use of an interesting text can also help to increase the motivation level of students in the classroom. Many Iranian texts often contain material which fails to capture the interest of students due to the heavy emphasis on vocabulary and grammar. Many foreign texts, however, which have been designed for EFL, and specifically the Iranian market, often contain topics which can create a great deal of classroom interaction and help to motivate students to develop their language skills. It is important for the instructor to take advantage of such discussion topics and help students to realize that, even though they may see no need to become proficient in a second language, the study of another language and culture can only enhance their perception and understanding of other cultures. No matter what the underlying motivation to study a second language, what cannot be disputed is the fact that motivation is an important variable when examining successful second language acquisition. Iran is perhaps, a unique environment in which to learn English, especially when taking into consideration the many factors which influence the manner in which the language is taught. Although change may be slow to the education system, but recent struggles for introducing the English language as a subject in elementary school, changes made in methods of teaching and writing new textbooks can be really helpful for further motivating students to achieve higher levels of proficiency in the future. Language pedagogy, Addison Wesley Longman, Inc.
Clément, R., Gardner, R. and Smythe, P.C. (1977), Motivational variables in second language acquisition: a study of francophone learning English, Canadian Journal of Behavioural Science, 9, 123-33. Ellis, R. (1997), The Study of Second Language Acquisition, Oxford: Oxford University Press. Gardner, R.C. (1980), on the validity of affective variables in second language acquisition: conceptual, contextual and statistical considerations, Language Learning, 30, 255-270. Gardner, R.C. (1985), Social Psychology and Second Language Learning: The role of attitudes and motivation,London: Edward Arnold. Gardner, R.C. (1996), Motivation and second language acquisition: perspectives, Journal of the CAAL, 18(2): 19-42. Gardner, R.C., Lalonde, R.N. and Moorcroft, R. (1985), the role of attitudes and motivation in Second Language Learning: Correlational and Experimental Considerations, Language Learning: A Journal of Applied Linguistics, 35/2: 207-227. Gardner, R.C. and Lambert, E. (1972), Attitudes and Motivation in Second Language Learning, Rowley, MA: Newbury House. Gardner, R.C. and Macintyre, P.D. (1993), A student's contributions to second language learning: Part II: Affective variables, Language Teaching, 26/1:1-11. Lambert, W.E. (1963b), Psychological approaches to the study of language Part II: On the second language learning and bilingualism. Modern Language Journal 14, 114-121. Lukmani, Y.M. (1972). Motivation to learn and language proficiency. Language Learning, 22, 261-273. A Below are a number of statements with which some people agree and others disagree. There are no right or wrong answers since many people have different opinions. We would like you to indicate your opinion about each statement by ticking the boxes below which best indicates the extent to which you disagree or agree with that statement. Studying English can be important to me because it will allow me to be more at ease with other people who speak English. Studying English can be important for me because it will allow me to meet and converse with more and varied people. Studying English can be important for me because it will enable me to better understand and appreciate British art and literature. Studying English can be important for me because I'll need it for my future career. Studying English can be important for me because it will make me a more knowledgeable person. Studying English can be important for me because I think it will someday be useful in getting a good job. Studying English can be important for me because other people will respect me more if I have knowledge of a foreign language. Copyright © Marjan Moiinvaziri M.A.